Okay so last week I saw a recipe that put spinach in Taquitos, and if you know me I like to sneak in handfulls of spinach anywhere you can't tell you will be eating spinach. 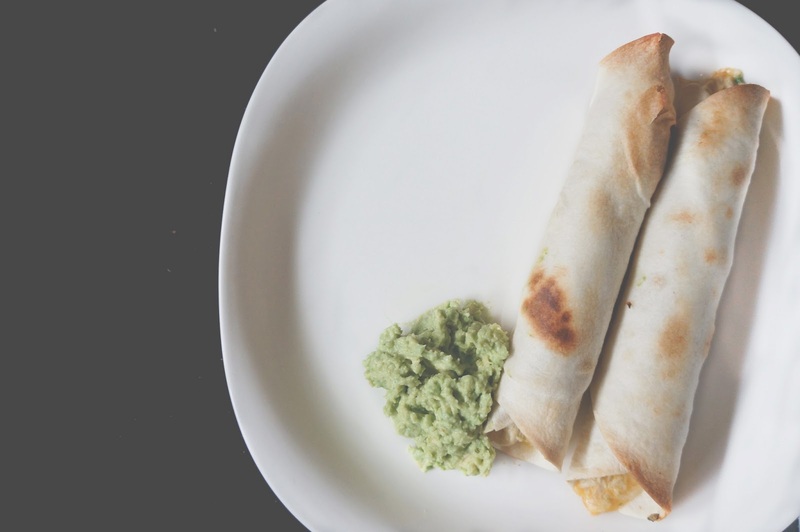 The recipe I found looked kind of bland, so I thought about the Honey Lime Enchiladas I love and decided to adapt the recipe from that and make my own version of Taquitos. They turned out great! Great for leftovers as well. Here is the recipe! 1 1/2 C Cheese // We used Colby Jack but I think Cheddar and Mozzarella would be great too. Boil chicken and after cooked // Shred the chicken. Combine all ingredients together. I like to add the sour cream and cream cheese last, and than I toss it together. I add the Colby jack cheese last to the mixture. Put 2-3 Tablespoons of the mixture into each tortilla. If you think you need a little more cheese, feel free to put a little on top of the mixture as well. Wrap it up tightly, and put seam side down. We ate the taquitos with some quick guacamole and I also like to add some Buttermilk Ranch in the mix, but I eat that with everything. Keep in mind that I wasn't measuring when I made these, so if it sound like too much lime, no need to put that much in ( I love lime). I also would probably put in the Cream cheese and Sour cream in half portions first, to see if you need more than that. I like it to be creamy, but you don't want it to have too much liquid either. If you try it, let me know how it turned out! Make them! I absolutely loved them! So glad they did! I probably forgot to mention about the fact that I put my hot chicken in last & so my taquitos are already pretty hot before I put them in.